E-commerce completely changed retail business. Today a teenage kid with a garage stock and an account on Shopify, can be tough rival, even to the largest retail chain stores. With such a strong and competitive market, retailers need to put a lot of work and dedication into their projects, and provide nothing but excellence to consumers. In this article, we reviewed some of the best tips for running a successful retail store. Retailers come in direct contact with a customer, which means that they are responsible for all product fails. This also means that they need to be very careful when it comes to adding new products to their inventory. Each new product needs to go through rigorous checks, even the ones manufactured by the most powerful brands in the industry. Bottom line when it comes to product choosing is that you should take only those that you would buy yourself. Before online stores became popular, store location was one of the most important parameters for determining retailer’s revenue. Today, e-commerce quickly broke all geographic limitations, but properties on top locations are still holding their price. That’s because store location is still one of the most essential parameters for running a successful retail business. Many people still don’t realize all the benefits of online shopping and prefer buying goods in brick and mortar stores. Until this trend is alive, good location will stay one of the top priorities for retailers. If we think about it, domain name is something like a web location. That’s why online stores with catchy and simple domain names have much more customers than the ones with domains that are hard to remember and type. When consumers reach location or online store and start browsing products on the offer, retailer’s work is far from over. That’s when advanced sales and promotion tactics jump in and make customers buy more product than they intended. We all know how to recognize smart salespeople, and even when we do, we always fall for their charm and buy more products. Sales promotion tactics also use charm and emotions to encourage customers to buy more. Did you ever feel like a winner when you dug out the most affordable item from the store’s promotional bin or felt sudden urge to grab, buy and eat tasty candy bar while waiting at a check-out? Sales promotion tactics caused these erratic feelings, and they can make people buy more stuff. One of the most effective sales promotion tactics is point-of-sale, which is currently conquering e-commerce niche. 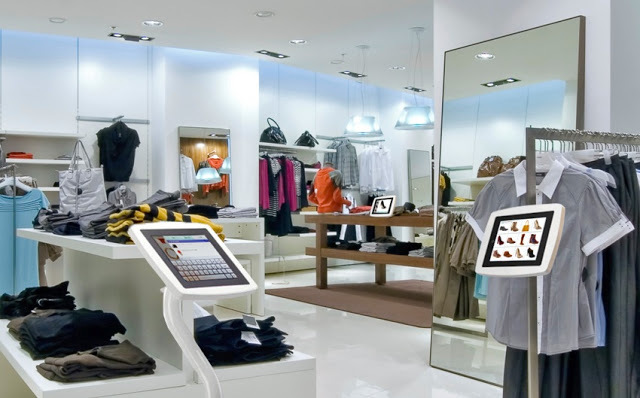 Today online retailers are erratically adding point-of-sale displays to their websites, which drastically increase their sales rates. Strong analytics is very important for both e-commerce and location-based retail businesses. It measures conversion and customer traffic and provides accurate data about consumer’s interest in offered goods. Analytics data can also be used for planning sales, promotions and tailoring future orders. Social media marketing is recently become very important for running successful retail businesses. Its benefits are recognized by many online stores, while location based ones still lack behind when it comes to social media presence. Running a successful retail store means that entrepreneurs need to embrace new technologies and to nurture traditional sales tactics used by old fair merchants, at a same time. Today when hundreds of new businesses open every day, retailer’s job is more strategic and complex than ever before.